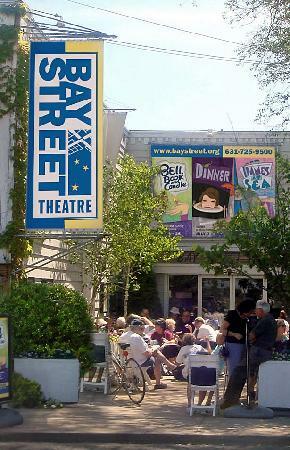 BAY STREET THEATRE is a not-for-profit 299-seat professional regional theatre situated on Long Wharf, in Sag Harbor, NY, and founded in 1991. Operating year round, Bay Street Theatre is a not-for-profit regional theater presenting new, classic and contemporary works, with a commitment to challenging and entertaining our diverse community. This commitment extends to innovative educational programs that highlight the power of live theater. It is our mission to be an artistic haven for an extended family of artists and audience, while continuing to provide a gathering place to share in the unique collective theatrical experience. Please leave your comments about your experiences with the working environment at Bay Street below. Comments may be anonymous, but please remember to be respectful and professional, even in your critiques.